If you or a loved one has cataracts, it’s important to know the facts about the treatment options available to you. Choosing the best course of treatment could dramatically improve your vision and lead to a lifetime of good eyesight. First, you’ll want to familiarize yourself with the warning signs of cataracts. While self-diagnosis is uncertain with any type of medical condition, awareness of possible symptoms such as cloudy or blurred visions, lens discoloration, light sensitivity and changes in your vision should prompt you to schedule an evaluation with an eye doctor. If during that evaluation, the doctor diagnoses you with cataracts, the first thing to consider is the degree of cataract development. If the blurring of your vision is slight enough not to interfere with daily activities, you may only require a change to your eyewear prescription. Still, you will want to schedule regular vision check-ups to monitor their progression. If your cataracts are interfering with your quality of life, the only way to treat them is through surgery. There are no medications, dietary changes or exercises that can reduce cataracts once their formed. For cataract surgery, there are two options: phacoemulsification (also known as phaco) or extracapsular surgery. Extracapsular surgery requires a sizable incision in the cornea in order to extract the core of the lens as one piece. Smaller pieces are then suctioned out through the incision. Phaco is far more popular among physicians and patients. It requires just a small incision on the side of the cornea through which the doctor inserts a tiny probe. The lens is then broken up and softened using ultrasonic waves and the small pieces are removed using suction. The lens is replaced with an artificial lens called an intraocular lens (IOL) and the incision is closed. 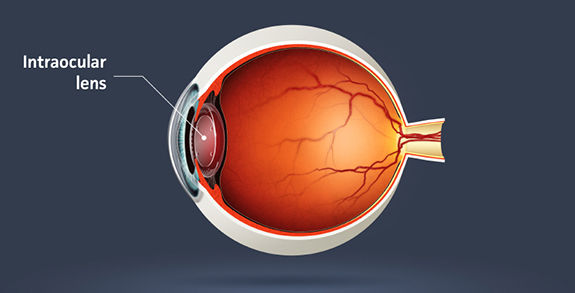 At Gainesville Eye Physicians, we offer LenSx® laser-assisted phaco cataract surgery. The LenSx® system is completely bladeless, pain-free and significantly more accurate than manual cataract surgical procedures. LenSx® requires half the ultrasonic energy to break up and soften the lens so there’s less risk of inflammation. In most cases, the patient’s vision improves almost immediately after surgery. To schedule your cataract evaluation, contact Gainesville Eye Physicians and Optical today.